We are now in the third leg of launching our private label product! After gathering a list of potential ideas, evaluating and choosing a product, we are now ready to start contacting manufacturers. This is obviously an important foundation to creating a successful physical products business, but I have created some routines to make this as efficient and systematic as possible. Make sure you have completed extensive product research and tracked potential products for at least a few weeks before moving to the next step. 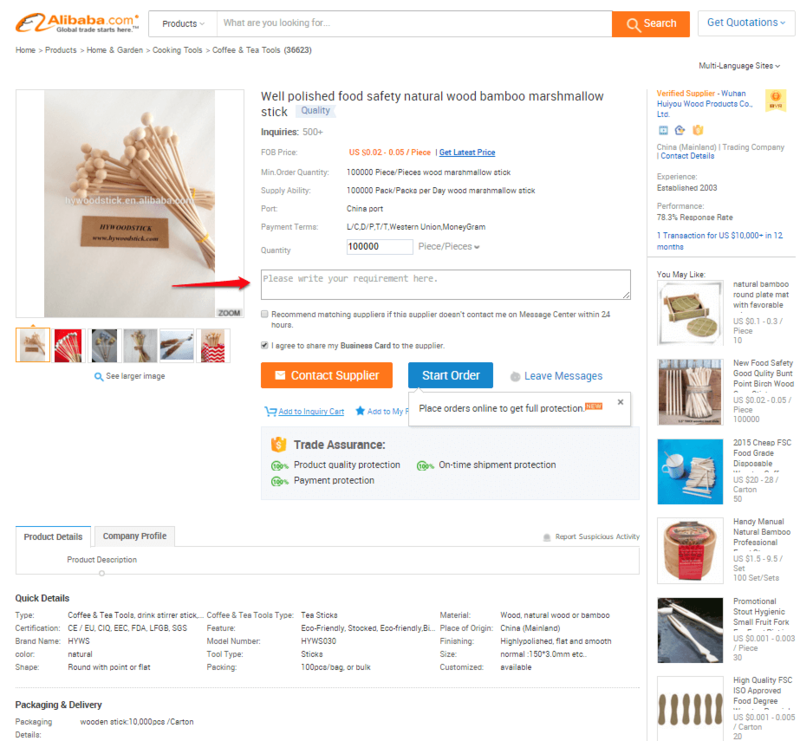 Get a Sample Product – Getting a sample product is imperative, even for something seemingly straightforward like a bamboo skewer. I am fully prepared to spend about $50-$75 per sample, even though these are very cheap items to produce. It is the standard cost of shipping, and they manufacturers are not trying to turn a profit on a single sample. I consider it a small investment in the product launch to ensure that I am working with the best product possible and a vendor who I can trust and grow with. Assess Their Communication Skills – I am most interested in their responsiveness (understanding that they may be 12 hours ahead of my time zone), and their English skills. Because this supplier is going to be so essential to our future success as private label sellers, I need to make sure that I am engaging with a professional organization. The level of communication is a key factor here. There may be a language barrier of sorts, and don’t necessarily expect flawless English, but it very important that there won’t be any miscommunications based on language. Establish a Future Working Relationship – The first interactions are a tango of sorts—there’s give and take, push and pull. I want to make sure that I have protected myself in every way possible, but must also understand that the supplier may get lots of inquiries and I need to respect their time by showing a level of seriousness and professionalism. 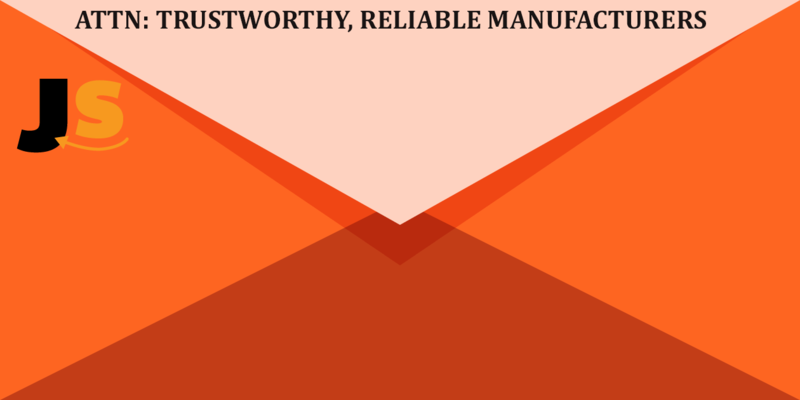 Evaluate The Supplier’s Process – It is important that I have positive interactions and know all the pertinent details of working with this manufacturer. This includes understanding their quality standards, shipping fees and policies, and manufacturing lead time. My name is Greg Mercer from Jungle Creations. Our owner asked me to contact your company about working together in a potential lucrative business venture. We’re a home good, patio, lawn and garden company that does around 11+million in sales each year. We’d like to introduce ourselves and express an interest in creating a profitable partnership between our two companies. 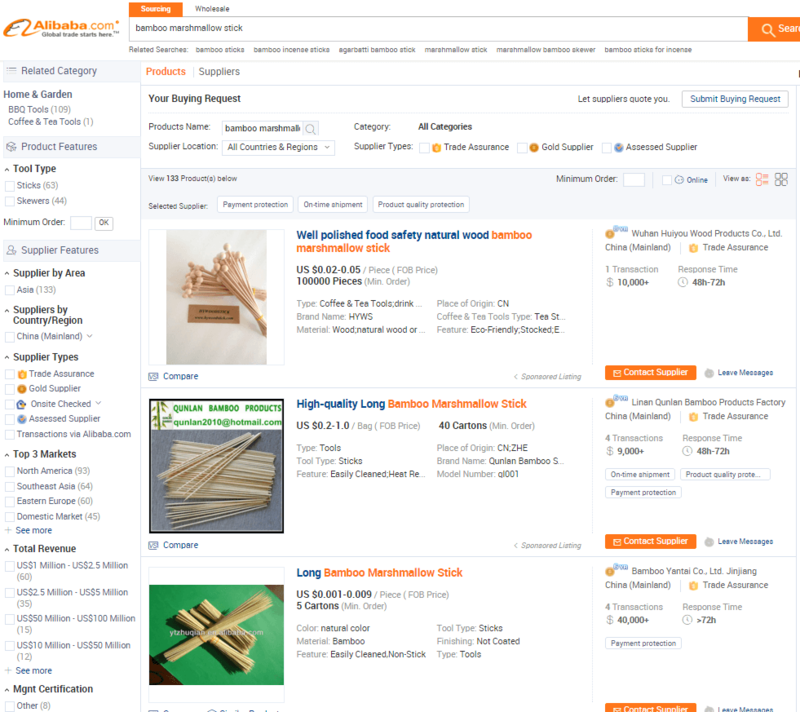 We are planning to purchase Bamboo Skewers/Sticks to add to our product line. After a lot of research, we feel that your company could be a great supplier of this product. We would like to get some more information, and we have a few questions. May we get a sample of the product, and how much will you charge, including DHL Express shipping to the United States zip code 94101? We would be happy to cover shipping costs with PayPal. What types of packaging do you normally use for this product? What is the cost of this product per unit including shipping via Air Express to the United States zip code 94101? Do you accept PayPal for the full order? How long does it take to manufacture once an order has been placed? I would be grateful if you would contact us with the answers to the above questions as well as your shipping and other policies we may need to know. Can we discuss a sample order of the product? We hope that we will be able to start a mutually beneficial relationship. I reached out to 14 factories on October 22nd. We have received numerous responses already, I will share updates with how those conversations progress shortly. I have signed off the email as a “Purchasing Agent”. You can alternatively use a title like Sourcing Agent, Business Dev Associate, Exec Admin, etc. Whatever the title, I just want to ensure that I am approaching the company as a legitimate and large organization, not as a sole proprietor with limited resources and funds. If I am the owner of the company, the person on the other end of the email may interpret that I am a small fish with little purchasing power. Additionally, it is helpful down the road in the negotiations, when I can defer to my “boss” and his or her needs. If this is your first purchase from Alibaba, it will help you as well to ask questions without revealing that your whole company is learning the ropes, just you as the Purchasing Agent. Include as many specifics as possible. This streamlines the vetting process by minimizing any back and forth, and clearly lays out the most important information in this first step of process. Ideally, I will receive replies with specific answers to each of my questions so that I know which relationships make sense pursuing further. You will also note that I created a separate Gmail account for this product. I have found that manufacturers do not really care where the email address comes from, whether Gmail or a more professional Company domain. There is no effect on the likelihood of a reply, and my main goal is to get started and continue forward momentum at every step. Gmail works. Also, I did include that my company does 11 million in revenue annually. This is not necessary to include obviously, and I would not lie at the outset just to create the impression of a larger company. I just happened to include it as a bit of background information on my company, but not necessary by any means. In the meantime though, I am busy running around the Canton Fair, and it is even more crazy and overwhelming than I could have imagined! More dispatches from the fair to come in a few days, if you are also attending then email Support (at junglescout .com) and we will get you the details. If you want to join me as I review my outreach to suppliers and thought process in evaluating them, you can register here. Onwards! Hi, greg are you going to be at the canton fair this year as well? Can you tell us if there is a website to review some of the Chinese manufactures so we can get a sense of the legit and better factories? Is a $35 fee for using PayPal reasonable on a $50 sample fee?